The CONTACT Plus is an all-rounder on roads and paths that ennobles every touring bike. 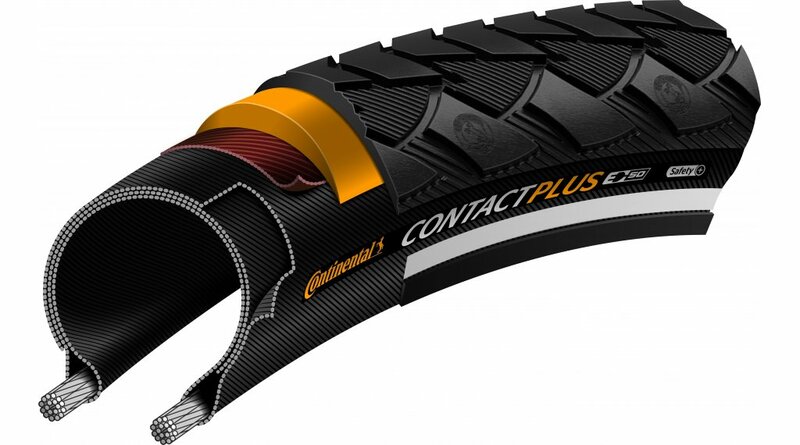 With its plus in puncture safety, this tire leaves no one behind on the roadside. 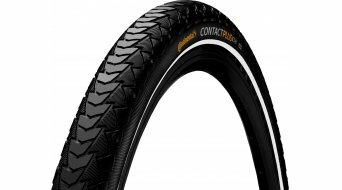 He has one of the most popular Continental bicycle tire profiles. And he is also ECE-R75 certified, so he is also approved for fast e-bikes up to 45 km / h.
Continental has combined the SafetySystem Breaker with a highly elastic material for e-bikes. The result is an extremely cut and puncture-proof breaker, which has a particularly low rolling resistance thanks to its high elasticity and is therefore both battery-friendly and environmentally friendly. 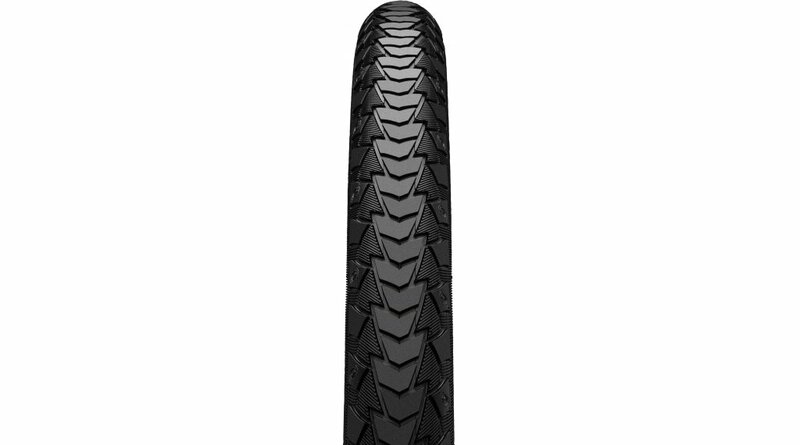 The Breaker is also able to cope with the high demands of e-bikes up to 50 km / h. The breaker easily gets rid of the high acceleration torques as well as the fast cornering speeds. The specialist for fast e-bikes and wheels from rental stations.